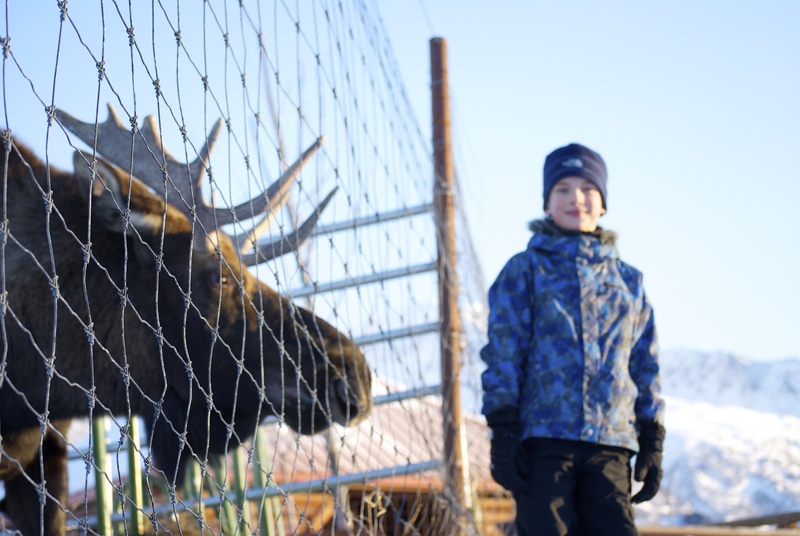 Free Alaska Family Fun: Thanksgiving weekend is upon us! 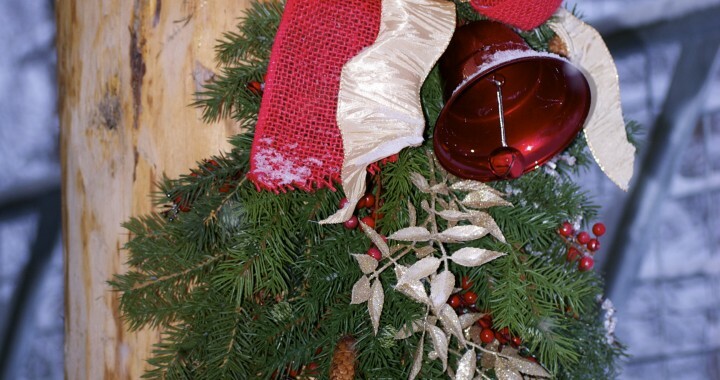 Another winter is upon us, and while Alaska awaits its first significant snowfall of 2014, families around the state are making preparations for Thanksgiving. Turkeys are defrosting, cranberries are simmering, and pies are baking, at least in my house. I love Thanksgiving’s long weekend; a stretch of four days to get outdoors and be grateful for this amazing place in which we live. Thanksgiving weekend in Alaska also means a bunch of free, family-friendly events and activities, and since many families are plotting and planning their weekends now, I thought I’d help out a little bit. Have relatives visiting? Nothing better than a free-for-all at some of Alaska’s best places for family fun. Enjoy! 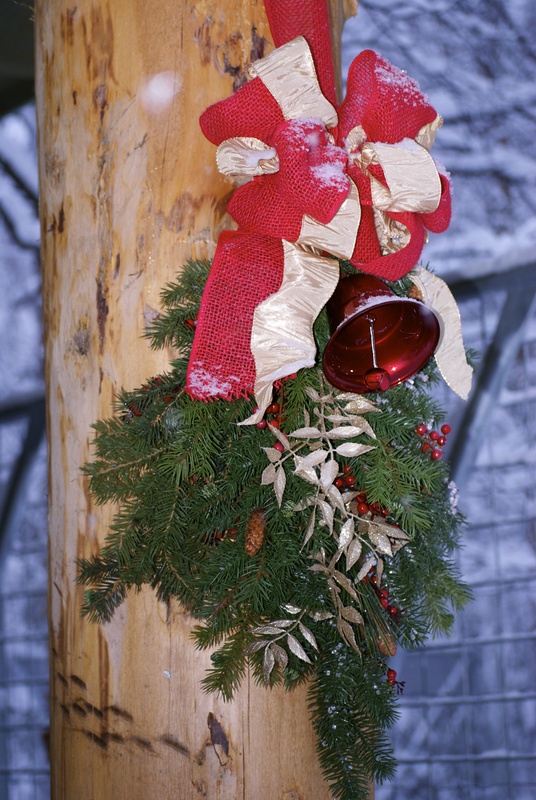 Alaska Wildlife Conservation Center is FREE on Saturday. Skinny Raven 20th Anniversary Celebration. The Raven has been around for 20 years, and the downtown Anchorage store is celebrating with a free, family-friendly walk/jog at 9 a.m. on Friday. Stop by, enter to win a door prize, and take a stroll to work off that stuffing. AND – the store will be offering free studding for shoes until noon. A great way to keep your feet on the ground this winter. Anchorage Downtown Parthership is sponsoring the annual Town Square Park Tree Lighting ceremony Friday evening at 5 p.m. Music, hot cocoa, and a brilliant display of lights while we wait for the arrival of Santa Claus and his reindeer. Yes, parking is free, too, thanks to EasyPark. Dress for chilly weather, even if we don’t have Alaska snow, we do have the cold! The Anchorage Museum’s Craft Weekend and Book Sale takes place Friday through Sunday, and is one of the best places to find everything you need for those holiday gifts. Bonus? Kids can play in the Imaginarium Discovery Center and explore the Wonderland of Toys exhibit at the same time. (If anyone finds the halibut-shaped cutting boards, let me know). The Alaska Wildlife Conservation Center is opening its gates for free on Saturday, in grateful appreciation for guests over the year. Check out the critters, watch a feeding, and read up on the latest news regarding plans to expand the center. Dress for the weather and walk, instead of driving, the property for the best experience. Police Navidad is happening once again on Saturday at the Dena’ina Center in downtown Anchorage. 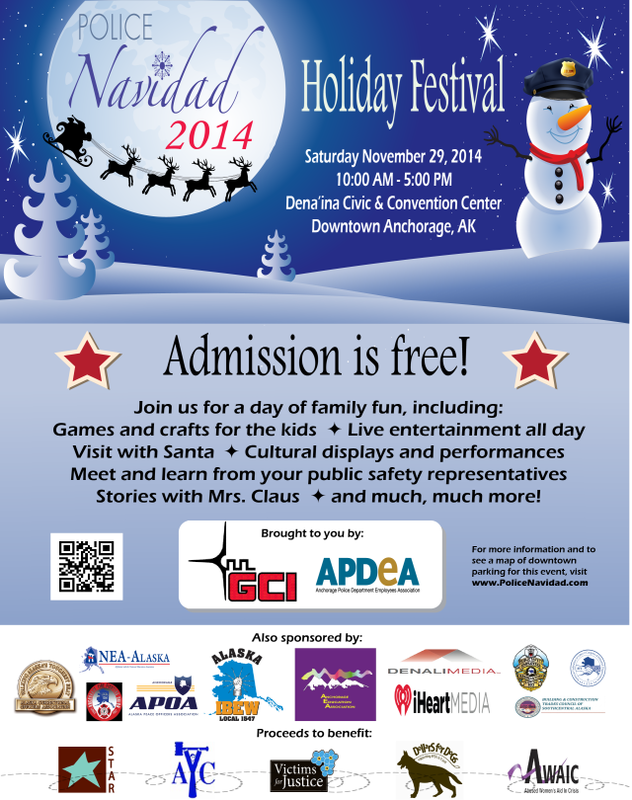 This free event is sponsored by GCI and the Anchorage Police Department Employees Association, and will feature crafts, music, cultural activities, games, and a visit from Santa! A delightful way to spend a pre-holiday Saturday, instead of standing in a shopping line. Pioneer Park village glows in the winter snow. 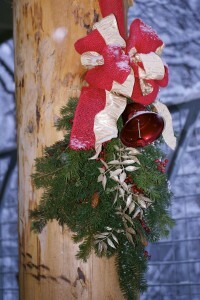 Fairbanks Parks and Recreation is hosting a holiday bazaar at Pioneer Park on Saturday and Sunday. Stop by for crafts, music, train rides on the Tanana Valley RR, children’s stories, and much more. 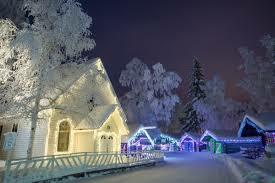 This is a one-stop place for Christmas fun, and with a little snow, Fairbanks, it should be lovely! It’s going to be a great Alaska family weekend, isn’t it? Posted in Alaskan Winter Fun and tagged Alaska, Alaska Wildlife Conservation, Anchorage, Anchorage Museum, Fairbanks, Family Fun, holiday events Alaska, Kids, Police Navidad, Skinny Raven.